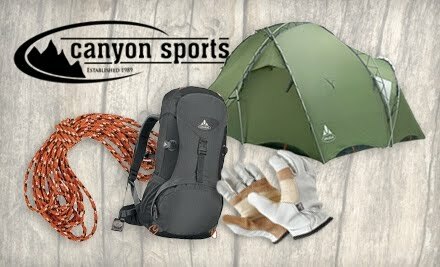 50% off at Canyon Sports! Need a tent? We do...we have out grown our 2 man tent big time. 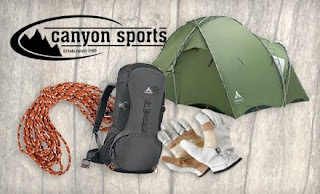 Groupon has a side deal today for a $50 Gift Certificate to Canyon Sports for $25!! The side deal can be found on the right side bar. Groupon is good at 3 Utah locations. You can buy 2, but can only use one per transaction. Expires 12/30/10 so you could always use it on apparel or gear for ski season. Deal ends at Midnight. 1844 E Ft. Union Blvd.